Maybe it's because my parents got divorced when I was a kid. Maybe it was because I watched endless hours of soap operas as a kid and we all know there are no happy endings there. Maybe it's because I never had any grand expectations of happy endings or any real understanding of true romance that I now find myself smack dab in the middle of the best romantic love story ever. A love story so simple and so good, I never could have dreamed it up for myself. A supportive husband, four adorable kids, all of us living on love in a leafy suburban town in the Midwest. After almost 15 years together with my husband, I am more in love with him than ever before. We're fighting the good fight, living the good life. Somedays I revert to that cynical kid/teenager and I forget. I forget all the goodness in my life. I feel stuck in suburbia. I get overwhelmed with regret about opportunities I let slip away in life because I couldn't balance motherhood and career and a social life and being political and being a good wife/mother/daughter/sister/friend and organizing my house and volunteering and nothing seems romantic at all. But then I turn around and I see my husband, the love of my life, walking with my four kids. I see him laughing with them, protecting them, loving them. And then he looks up and our eyes meet. Sigh. Swoon. Cue background music. Pure romance. There is romance in my everyday, simple love story. The love story of my family. There is indeed romance in our everyday, simple lives. It's watching my boys play basketball, it's reading books to the baby, it's listening to my daughter's stories. It's hockey and skating on the frozen pond. It's holding hands at church. It's falling asleep on the couch because we're so tired we can't stay up for the movie. 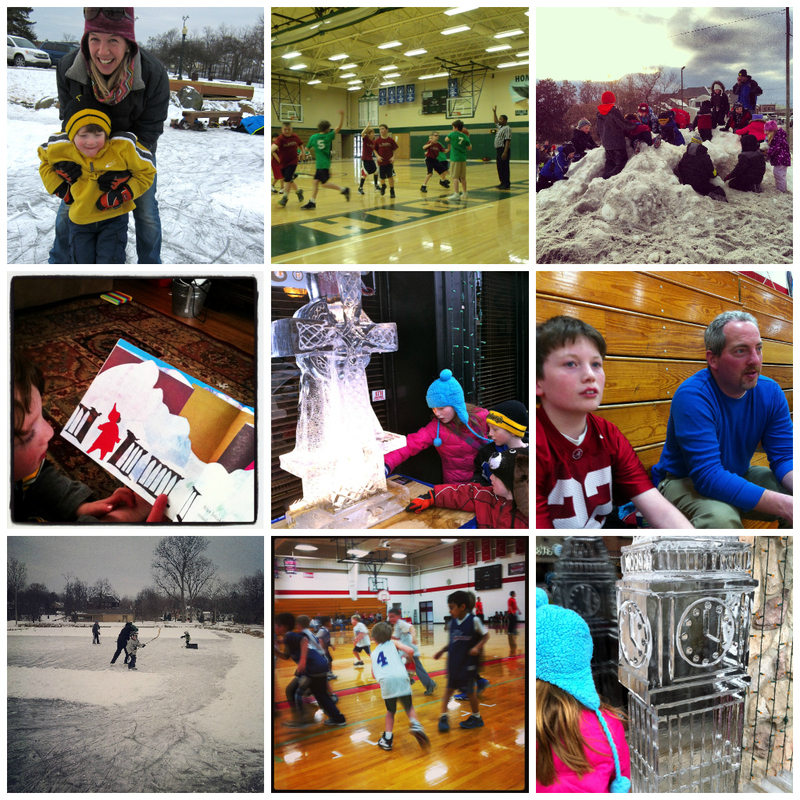 It's busy, exhausting, funny, sweet, ordinary and extraordinary. 'Tis the season to honor the romance in our lives, be it nostalgic Valentine's Day dates to bring back a little va-va-voom or simply savoring the sweetness of all the goodness, all the love. 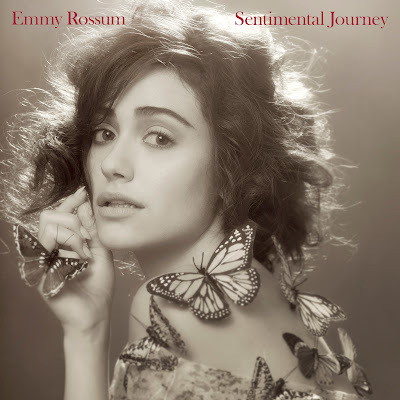 The perfect background music to cue up is Emmy Rossum's new album, Sentimental Journey. It's a beautiful collection of classic songs each meant to represent every month in a year. "Each song needed to either lyrically or emotionally reflect the corresponding month," Rossum explained. "Some songs were obvious fits, like Summer Wind for June, and Pretty Paper for December. Other songs were less literal fits. I chose Nobody Knows You (When You're Down and Out) for September because, to me, the plaintive melody and lyric emotionally reflect the cold weather creeping in and the sense of melancholy we can get in the fall months." Smoky, rich and romantic are words that come to mind to describe the music. Her voice is haunting and beautiful. I love Autumn Leaves possibly because she sings part of the song in French and what's more romantic than that? Another favorite song of mine from the album is the title track Sentimental Journey because well, I may have been a relationship/romance cynic, but deep down I'm really a sentimental soul. It's the kind of music you want to play with candlelight. It's the perfect background music for an everyday, simple love story, maybe the love story of your family. Emmy Rossum's collection of classic covers is on sale January 29. You might recognize Rossum from the Showtime series Shameless where she costars with William H. Macy. She's also in the upcoming movie Beautiful Creatures with Emma Thompson and Viola Davis. Sentimental Journey will be released tomorrow, January 29, and will be available on iTunes and Amazon.